Inspired by the setting sun bathing the sweeping hills of the downs in a golden glow. 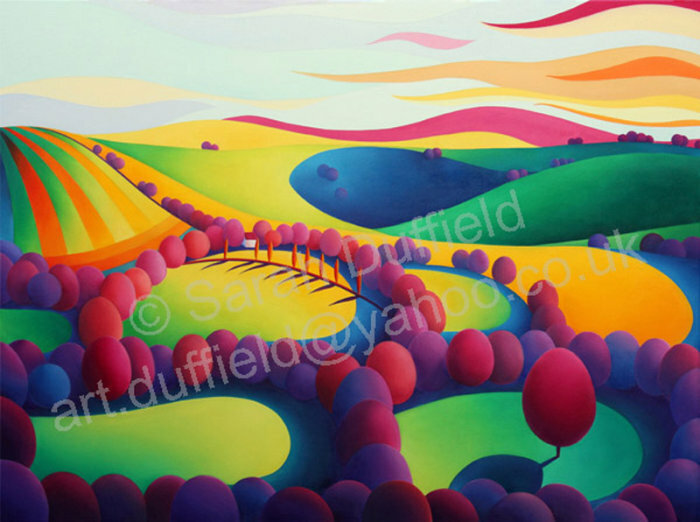 The landscape is based on the Steyning bowl area. A favourite of many. 47 x 36.3 cm including border. Sorry this print is now sold out, new images will be coming soon. Mini prints are still available. One large framed print will be made available in September.